The storage box Tortue (french. turtle) by Tolix was designed by the designer duo Normal Studio and is a practical as well as decorative storage box in which different objects can be kept. Inspired by a turtle, the trunk is the ideal place in which to keep toys in children’s bedrooms. It is made out of metal and is available in different colours. The trunk is reminiscent of a turtle, especially in a green colour, and can be enjoyed by both adults and children. The storage box is available in different colours. 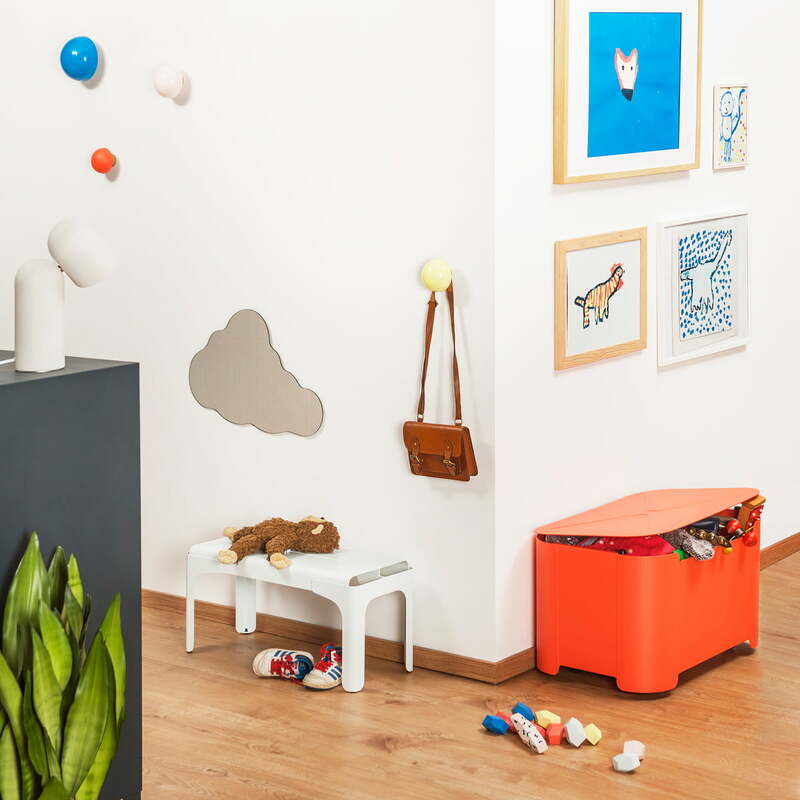 The turtle storage box belongs to a series of furniture for the children's room designed by the designer duo Normal Studio. 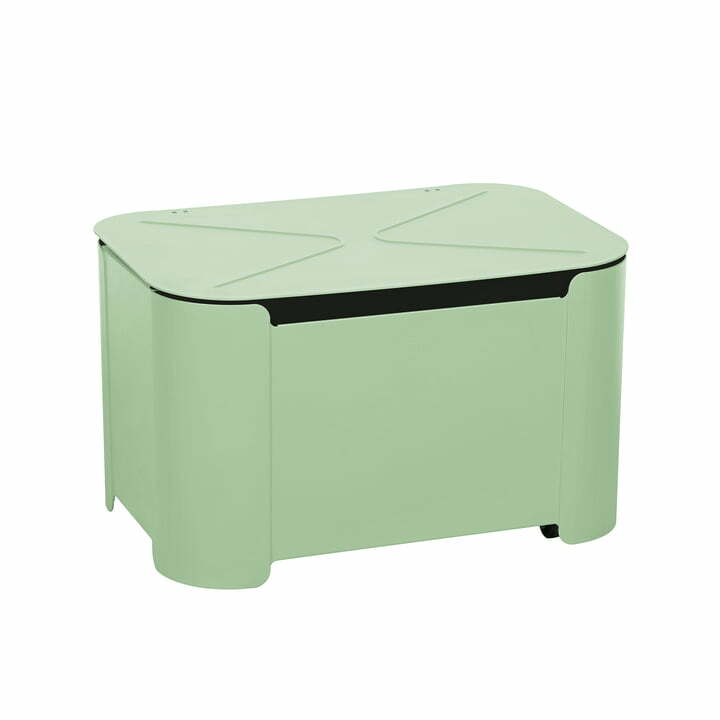 Isolated product image of the Turtle storage box by Tolix in anise matt green. Inspired by a turtle, the trunk is the ideal place in which to keep toys in children’s bedrooms. Group image of the Crocodile bench for children and the turtle storage box by Tolix. Both pieces of furniture for children are manufactured out of sheet steel.